accepting applications for all available positions. NORTH PLATTE, Neb. -- School children from North Platte and several other surrounding communities were treated to a special rendition of one of William Shakespeare's most famous plays. (OMAHA, Nebraska) As part of the 30th anniversary of the founding of Nebraska Shakespeare, the theater departments at Creighton University and the University of Nebraska at Omaha are presenting A WAR OF ROSES. An original, two-part retelling of William Shakespeare's Henry 6 Trilogy, A WAR OF ROSES: (part 1) Foreign Flames and A WAR OF ROSES: (part 2) A Fire Within will be a first-of-its-kind collaboration. Both productions will feature casts and production teams comprised of faculty and students from both Creighton and UNO, as well as alumni professionals hired by Nebraska Shakespeare. Over 100 individuals will be involved to make this a reality. Join us for an event between the plays on the 12th only: The Shakespeare Collective Presents: Intermission! A special gathering before Part 2 for dinner, drinks, and more. Space is limited. The Henry 6 trilogy bridges the historical gap between Shakespeare’s greatest history plays, Henry 5 and Richard 3. Foreign Flames begins with Henry 5 and his band of brother’s victory at Agincourt. His reign is tragically short, leaving behind a weak young heir, Henry 6, his resolute queen, Margaret of Anjou, and military reversals as the French army rebounds under the leadership of Joan of Arc. The campaign ends in disaster and the loss of France. In A Fire Within, the political fallout between the Lancasters and the Yorks leads to civil war across England and a popular revolt in London under Jack Cade. The Lancasters of Henry 6 gain the early upper hand, only to suffer catastrophe at Towton, establishing the reign of Edward 4 and the rise of his younger misshapen brother, Richard Plantaganet, Duke of Gloucester. The winter of our discontent is sure to follow. 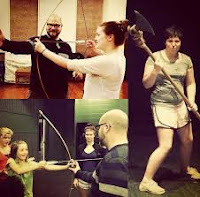 (OMAHA, Nebraska) In celebration of Nebraska Shakespeare’s 30th Anniversary, the University of Nebraska Omaha is hosting an exhibit reflecting the rich history of the nonprofit organization, including the popular summer repertory program Shakespeare On The Green. The exhibit is free and open to the public. Located in the Osborne Family Gallery at Dr. C. C. and Mable L. Criss Library on the UNO campus, the exhibit, which opened September 1, will run through September 25. The visually captivating experience reflects three decades of On The Green, showcasing costume and stage designs, captivating interviews and photos from previous seasons, and a look at seasonal and year-round programs, including the educational Shakespeare on Tour program. The public is encouraged to be part of this free exhibit, which is open Monday – Sunday at the following times: Monday - Thursday: 7 a.m. - midnight, Friday: 7 a.m. - 5 p.m., Saturday: 9 a.m. - 5 p.m., Sunday: noon - midnight. The visual tour ends with a preview of Nebraska Shakespeare’s 2017 season: A Midsummer Night’s Dream, produced in collaboration with the Omaha Symphony, Shakespeare On The Green productions of The Merry Wives of Windsor and King Lear, the On Tour production of Romeo and Juliet, and the Director’s Reading of Richard II. The exhibit precedes the fall production of A War of Roses, an adaptation of the Henry VI trilogy to be presented in a unique collaboration with Nebraska Shakespeare, the University of Nebraska at Omaha, and Creighton University. 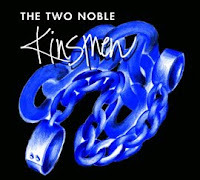 For more information and upcoming ticket sales, please visit www.nebraskashakespeare.com. In its 30-year history, Shakespeare On The Green has gained national recognition for its consistently high-quality productions, the beauty of the Elmwood Park setting, and its enthusiastic audiences. Thanks to the dedicated core group of benefactors, volunteers, and skilled artists, Shakespeare On The Green has become a summer tradition for the people of Omaha and the Great Plains region, drawing over 25,000 people each season. On The Green owes its existence to a dedicated group of local corporations, foundations and private individuals, along with its unique partnership with Creighton University, the University of Nebraska Omaha, and the City of Omaha, the Omaha Parks Department, the Douglas County Tourism Division and the Nebraska Arts Council. 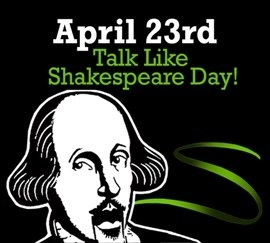 For more information and a full list of events and programs, call 402.280.2391 or visit www.nebraskashakespeare.com. in partnership with Arts Midwest. programs that engage, educate, and entertain. For more information about Shakespeare On Tour, visit Nebraska Shakespeare's website. Prairie Fire Pizza, made fresh right on site. your fall wardrobe for when the weather turns chilly. "Spit in the Hole, Man, and Tune Again" to "Kurosawa". . .
6:30 PM at the Education Stage. Will's Best Friend Contest, enter and vote often after June 23! Over $100 worth of prizes. We love your photos. Now we can do, for we have learned from you. Do You Remember This November? A friend of hours I spent admiring you. She fled my side, betrayed my trust so bold. Thus ridiculed, sentenced to shame, I fell. A friendship promptly bloomed—again, I fell. It all aside in spite of my distress. What mind-erasing medicine you use. Why does Shakespeare always write in this way? Was he precise or merely just insane? Iambic pentameter makes me gray. This choppy meter scrambles up my brain. I never can create a clever rhyme. I cannot think; my mind is blank and dry. I try forever, wasting all my time. Preferably, I’d rather sit and die. Try cramming ten syllables in one line. It’s pure torture, for fitting rules is tough. It’s either eleven beats or just nine. Shakespeare, that loon, with his eccentric style. I curse the sonnets, they are cruel and vile. Read honorable mentions on our website. June 23-26, 30, July 1-3, 5-10. 10th Annual Will's Best Friend Pet Costume Contest! Shakespearean costume and you get to vote for the winner. 1. Take a photo of your pet in best Shakespearean costume. 2. CLICK HERE to submit the photo on or before June 23rd. 3. Vote and tell your friends to vote! via Nebraska Shakespeare's Facebook Page. You and your friends can vote (one vote per Facebook user, per day). on Wednesday, July 6th, 2016. Just because you don't win a Top Award, doesn't mean you can't win! Pets must be on a leash. Nebraska Shakespeare is not responsible for the actions of your pet. Pets must be under control at all times. Pets should be sociable with other animals, adults, and children and not aggressive about food, toys or owner. Pets must be comfortable in a loud and festive environment. Please be aware of the stress level of your pet at all times. We want this to be a positive experience for everyone. Pets must be at least 4 months old since younger animals have weak or no immune systems. NS reserves the right to refuse entrance or ask to leave anyone whose pet is exhibiting aggressive behavior. Be prepared to clean up after your pet. and Macbeth at Shakespeare On The Green. Omaha's 4th annual 24-hour charitable challenge is TODAY! Omaha Gives! is a 24-hour online giving event organized by the Omaha Community Foundation to grow philanthropy in Douglas, Sarpy, and Pottawattamie counties. The goal is to inspire the community to come together for 24 hours to give as much as possible to support the work of public 501c3 nonprofits in the metro area. The minimum donation is $10 and there is no maximum. Bonus dollars and prizes amplify charitable donations to make each dollar go a bit further. Chalk Art, Masks, Buttons, Posters, Shakespearean Phrases and Words, Birthday Cake, and Workshops to celebrate the day. and Elena Tomasello for your help on that day. To help commemorate the event First Folio! The Book that Gave Us Shakespeare national tour, Nebraska Shakespeare will be presenting its annual Director's Reading Series at the Durham. 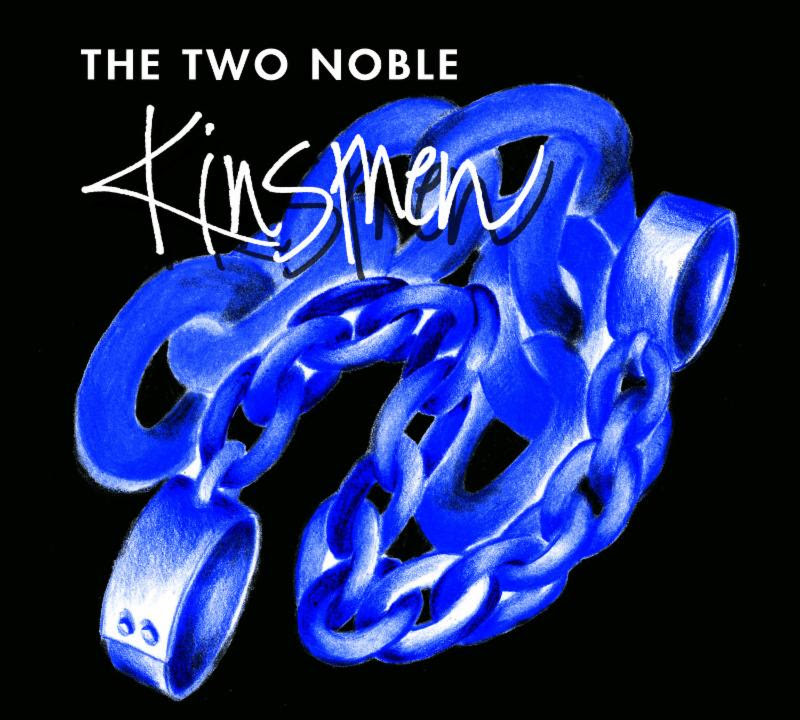 Join us as actors perform a staged reading of The Two Noble Kinsmen. A discussion follows outlining important themes, challenges of production, and conceptual interpretations. The Reading Series is an opportunity for our audience to hear the rarely-produced works of William Shakespeare, presented by Nebraska Shakespeare actors, and engage in dialogue about the play. Enjoy an intimate engagement between the actors, the audience, and the text. Thank you to everyone who auditioned for the 2016 season of Shakespeare On The Green. After many hours, seeing a tremendous amount of talent, and being faced with too many difficult choices, the directing team was able to narrow down the applicants to create the 2016 Shakespeare On The Green acting company. tragedy and one comedy-that run in repertory for three weeks. For more information about Shakespeare On The Green, visit www.nebraskashakespeare.com. The Durham Museum was named Nebraska’s host for the Folger Shakespeare Library's First Folio! The Book that Gave Us Shakespeare national tour. The First Folio is the first complete collected edition of Shakespeare’s plays, published in 1623, seven years after his death. Compiled by two of Shakespeare’s fellow actors, it preserves 36 of Shakespeare’s plays. from Shakespeare's Hamlet, "To be or not to be." In celebration of the opening of the First Folio! exhibit, Nebraska Shakespeare will be presenting its annual Director's Reading Series at the Durham. Join us for a produced, staged reading and directorial concept discussion of William Shakespeare’s The Two Noble Kinsmen. Led by Artistic Director, Vincent Carlson-Brown, the audience will engage in a post-performance discussion, exploring the themes, challenges, and opportunities of this lesser-known Shakespeare work. Celebrate Shakespeare’s Birthday! As a part of the state-wide Talk Like Shakespeare Day, interactive workshops will be presented at the Durham Museum. For More Information about the Director's Reading Series, Talk Like Shakespeare Day, or Nebraska Shakespeare, visit www.nebraskashakespeare.com. 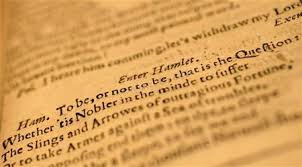 For more information on The First Folio! exhibit, visit www.folger.edu.